I don’t remember having a lot of big birthday parties when I was a kid. I was loved and celebrated, but my parents didn’t churn out party after party year after year. When I returned home, my house was filled with all of my friends. I was truly surprised. My parents (poor things) took us all to T.G.I. Friday’s for dinner, and my gift was one I’ll never forget – a drafting table. I wanted to be an architect when I grew up, so it was the most bestest birthday present ever. An architect is a person trained and licensed crazy enough to plan, design, and oversee the construction development of buildings children. I don’t know if it’s generational, geographic, cultural, or just a consequence of being a 21st century parent (i.e. a child pleaser), but birthday parties are a big deal. I keep thinking each one is the last one, that next year we’ll simply take a few buddies to a movie or the zoo or we’ll have a small sleepover (gulp), but before my kids even blow out the candles at one party, they begin fantasizing about the next. Dylan already has his seventh and eighth birthday parties mapped out (a Batman party at Chuck E. Cheese’s and a laser pool party – whatever that heck that is – at home). Today is Riley’s birthday. After opening a Transformers birthday card this morning, he said, “My next party will be a Transformers party.” Duly noted. The ironic thing about my desire to taper the birthday party madness is that I get wrapped up in planning and executing them. 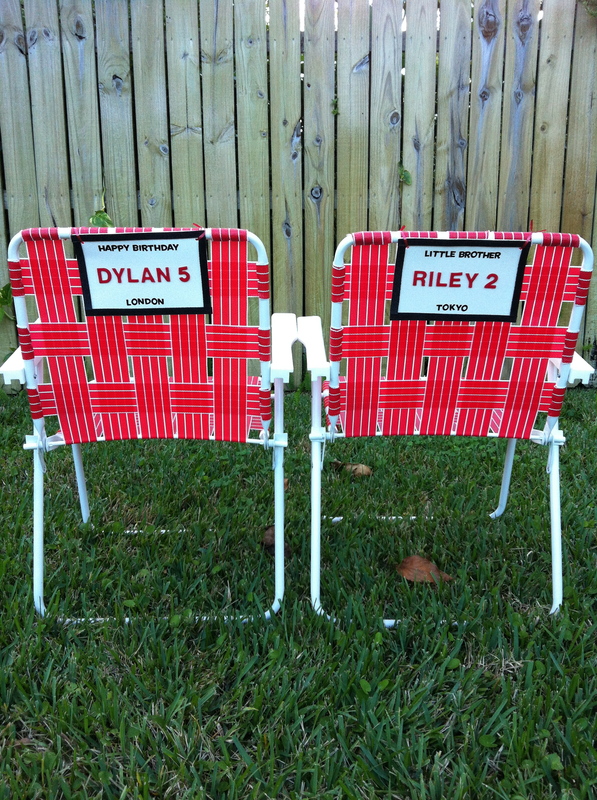 Mike laughs at how many times I’ve rented tables and chairs for our backyard. For Dylan’s fourth birthday, we had a bug party at home. Our biggest birthday party undertaking so far was definitely Dylan’s fifth birthday. 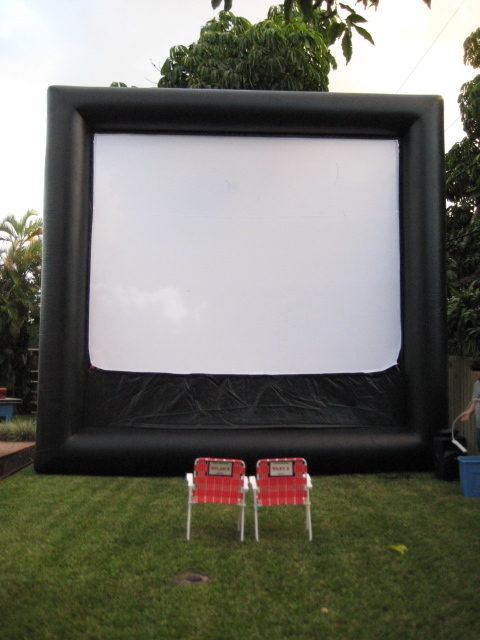 That’s when we hosted a “Cars 2” drive-in movie party in our backyard. It. Was. Big. (Literally.) I thought it was going to be the last party for a while, which is why I let myself get so carried away. It was amazingly delicious (and amazingly expensive). I have a funny way of making birthday parties difficult. The multiple deliveries from Oriental Trading. The trips back and forth to Party City. The cake design. The hours spent scouring Tiny Prints for invitations. The online window-shopping at Etsy.com for party favors. It’s ludicrous! I booked Riley’s fourth birthday party at a local indoor bounce house center. In response to our 21st century parenting, these places are getting pretty savvy with birthdays. I chose the “preferred” party package, which meant they supplied the party supplies and balloons (in whatever theme I wanted), and the food and drinks. All I had to do was bring the cake. That was it. With nothing to obsess about (except what to wear), I did what any Shopaholic Mama would do, I found something to obsess about: overpriced but adorable superhero masks from Etsy.com. It took some careful thought (and rumination and fixation), but, in the end, I did. The party was awesome (including the masks), and it’s a true story that all I had to do was show up (and pay for it all with a credit card). 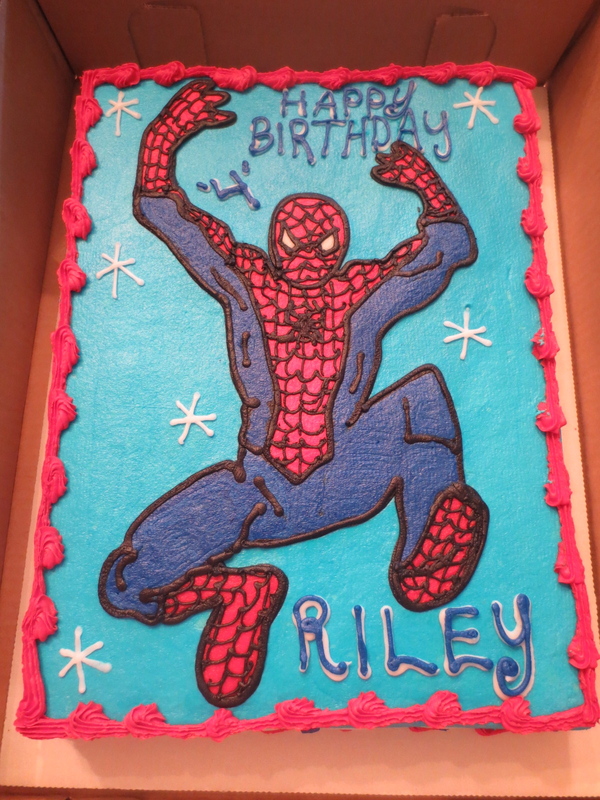 I don’t know what elaborate birthday parties our future holds, but this one was definitely a piece of (Spider-Man) cake. 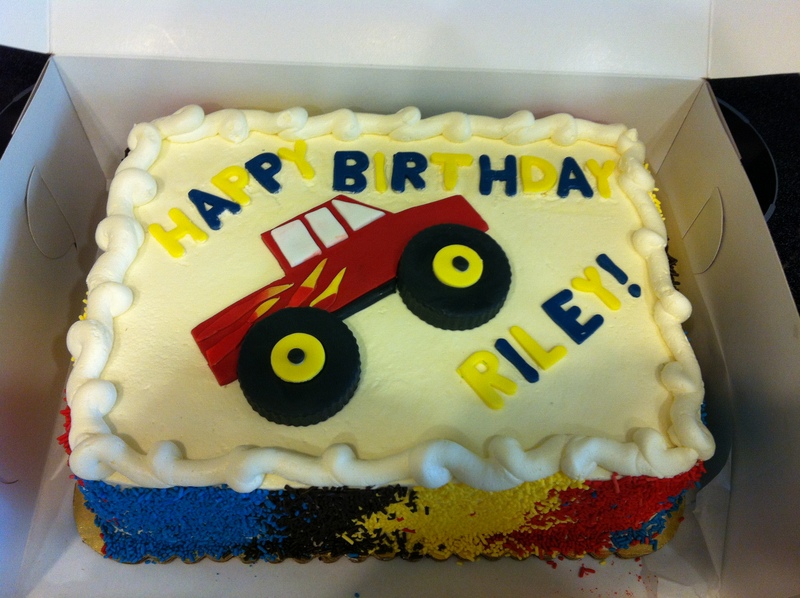 Editor’s note: Happy Birthday, Riley! 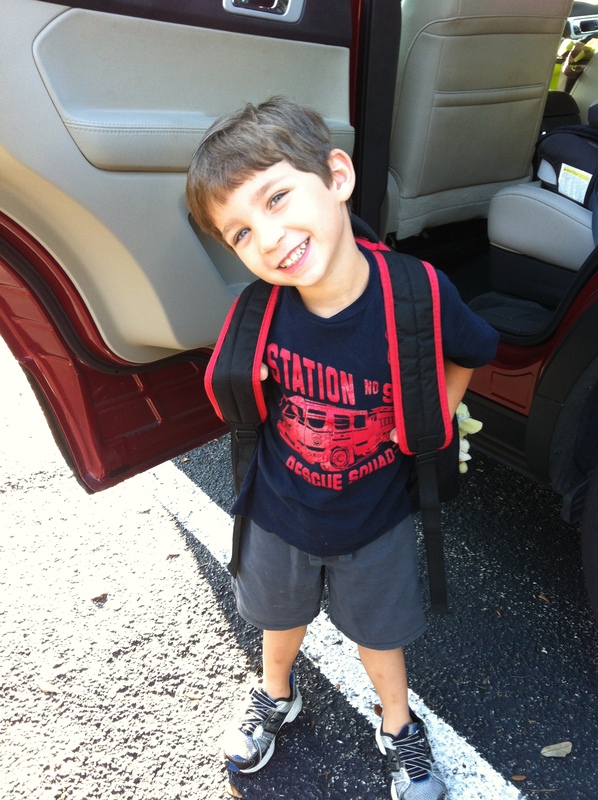 Today, my sweet monkey, you are four. 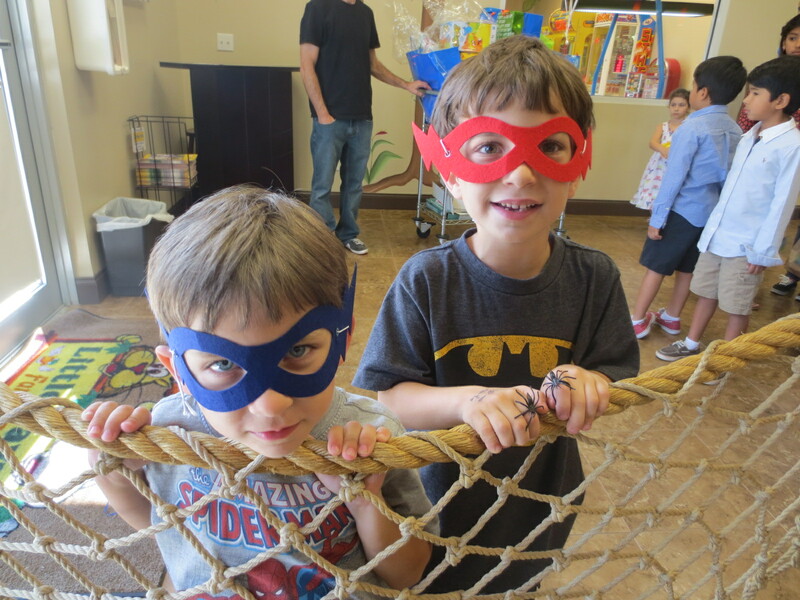 What do you think about kids’ birthday parties? Do you have one every year? LOVE the cakes! We don’t throw a hug birthday party for Ace. Partly because we aren’t close to his family and mines half way around the country and partly because her birthday is a week after Christmas so I feel bad asking everyone to come back down (a 2 hour drive) to celebrate it with us. It’s usually just Ace and I and a small cake. Summer birthdays are great for outdoor parties. We could just invite the whole class and their siblings if necessary every year, and although I would organise games they just wanted to run around the garden. If things got a bit too disorganised there was always pass the parcel to calm things down and maybe a treasure hunt to break the ice when everyone arrived. 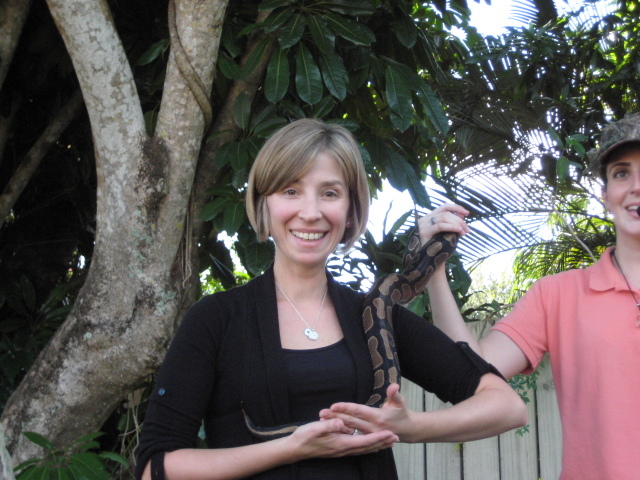 No big garden with the new house though – oops.